Sand Springs Schools is a Google for Education District! provides email for over 5000 students and 500 faculty & staff, as well as a host of other GSuite Apps and Tools. Google Drive includes access to Google Docs, Sheets, Slides, Forms and more. With these tools, students can work on documents from any Internet accessible computer or Chromebook to easily share work with teachers and other students. Student headaches like lost USB drives are a thing of the past as all files are stored in the cloud. Documents are saved automatically to the cloud, as students and teachers work and collaborate live in the same document. This creates a paperless classroom for which parents will no longer need to buy poster board for student presentations, as students can use Google Slides and Docs for reports and projects. Teachers can use Google Forms for student tests and quizzes. The results provide students with instant feedback, and teachers with information they need to get a pulse on student understanding of content. students initially have the ability to email only their teachers and other students. All student email is filtered from known inappropriate sites and is archived for disciplinary purposes. While this safeguard is in place, the district will still continue to provide student education regarding digital citizenship and internet safety. Google Classroom allows teachers to assign and publish classwork, along with links to learning resources and Google Docs. Students are added to the classroom so they can remain up to date on what’s happening in class. Students can use their personal Google Calendar to keep track of assignments in Google Classroom, as well as other events. Google Sites allows teachers to create webpages to post materials for students. Students too will be able to create sites to share and publish information for projects and student portfolios. ExtraCurricular Groups will have the capability of keeping followers up-to-date regarding important information about their organization, while learning the qualities of digital citizenship at the same time. Share Google Apps with your children. The best thing about Google Apps is how easy it is to share access to files and emails. Parents are encouraged to explore Google Apps with their children by logging in together. Students should note that Google for Education accounts at SSPS are not private and that their accounts may be monitored for compliance with school policies. Students are expected to f ollow school rules when online just as they do in the classroom. It is OK to ask your children to share their Google password with you and to look over their school work stored in Google Apps. To remain in accord with our agreement with Google, all parents must sign a permission form before their student may use Google Apps for Education. Please sign the Internet Use Agreement which contains the required Google information and return to your school. 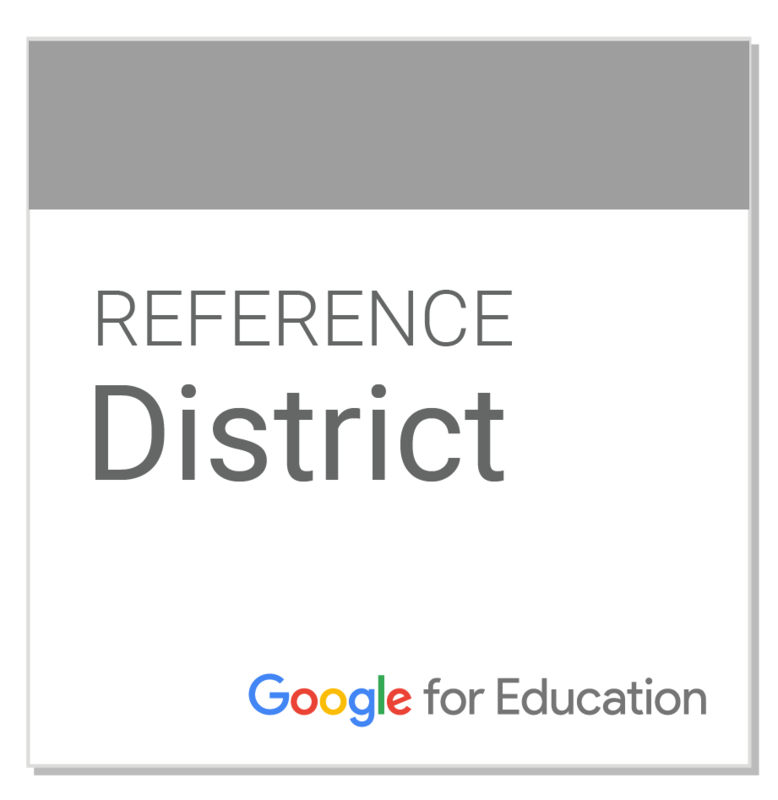 Sand Springs Schools is proud to be a Google for Education Reference District. Google for Education Reference Districts are districts that demonstrate excellence and thought leadership through the innovative use of technology, including GSuite for Education (formerly known as Google Apps for Education) and Chromebooks, to drive impact and positive learning outcomes.